The Manipulate command greatly simplifies GUI creation, automatically inferring control types and layout based on parameter specifications. Interface creation in Java requires the use of Swing, AWT or a third-party GUI library, typically with many more lines of code. Manipulate in the Wolfram Language greatly simplifies GUI creation, automatically inferring control types and layout based on parameter specifications, and runs seamlessly on desktop, cloud and mobile devices using the exact same code. In Python, building interactive interfaces requires custom code for a standalone GUI or using a third-party notebook library. Creating the same interface in Python for the desktop and cloud requires writing separate code for both platforms. Dynamic displays as the dynamically updated value of an expression. Dynamic is a powerful construct for tying values together and has no direct analog in Java. Java would require a method call, background threads or additional logic to update the display every time x changes. 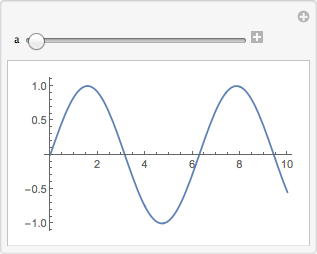 Dynamic is a powerful and unique Wolfram Language construct that dynamically updates its displayed output whenever there is a change, and it also forms the foundation for Manipulate. In Python, there is no automatic way to do this, but you can integrate Python code with the Wolfram Language using ExternalEvaluate. Which of the following makes a Manipulate with a slider for x from 1 to 4? If one puts x = 2 in a first cell and Dynamic[x] in a second cell, then sets x = 4 in a third cell, what is in the output of the second cell after those three cells are evaluated? Which of these gives a button that sets the value of x to 4?